Why you need to learn JQuery? Here are some reasons why you should learn JQuery other than else. jQuery integrates easily with web technologies like ASP.NET, PHP, Python, etc. 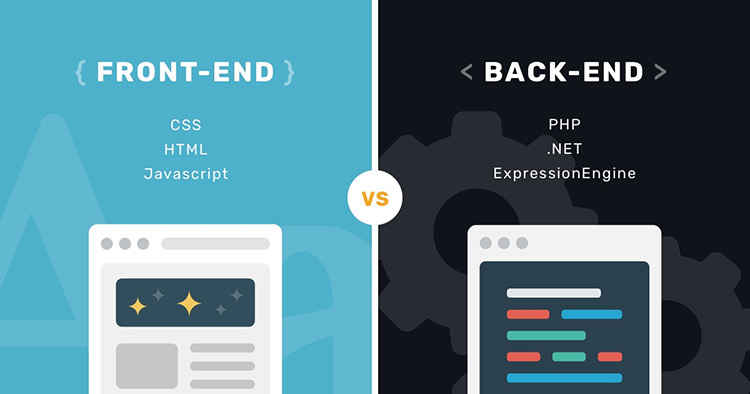 Frontend languages ​​like Angular, React & Vue are complete libraries, you can program your entire project against these frameworks, even without server-side technologies like ASP.NET, Python, PHP, etc. jQuery is much easier so you can quickly learn it in just a few hours. Posted on January 25, 2019 Author askfmCategories ProgrammingLeave a comment on Why you need to learn JQuery? is dot net developer hot for 2019? Really, I think .net developer is hot wanted for 2019 its trends. So if you hesitate to make a decision, then you should trust yourself and grab it now. Based the popular of net development, we can believe our future on this programming language. ars, and it is so intertwined in business that it takes quite a bit to kill one off but it happens. Knowing a few languages will make sure you won’t be out of jobs. Besides programming language are made for many different purposes. Knowing more will help you get the code cleaner and more efficiently. If you are a beginner, then start small. Write the first few lines from your textbook and see how it work. Try to understand it. Learn from the basic and when you finished with the fundamental, go through some tutorial and work on it. The most important thing here is you have to write these program. You can’t just learn from reading it. Read another person’s code will also help you. While reading them, try to understand how every line is working. Eventually, you will get a better picture of it. Thank to of open source project, you can learn about every programming language and improve every day. Posted on September 14, 2018 December 18, 2018 Author askfmCategories ProgrammingLeave a comment on What is the best way to learn to code? Is C++ is the only language I should master. C++ is beneficial and versatile, but like all languages, it has pros and cons. It’s not even the most popular language in the world. That honor goes to Java. C++ is probably the most complex programming language in the world. It is difficult to learn and almost impossible to “master.”I dare anyone to step forward and say they’ve mastered C++. Each language has a hole to fill, and in most cases, if we used right, it will fit well. So what you need to do is learn where each language fits into this big computer world, and then use it properly. Learning just C++ for everything will not be good if you wanted to create quick automation scripts or web crawlers. Learning the C/C++ will give you a broad perspective, and a baseline from which is easier to understand how other programming languages do the job, and what they add or lack comparing with the one you learn at first. Posted on September 14, 2018 Author askfmCategories ProgrammingLeave a comment on Is C++ is the only language I should master. What are the top in-demand programming languages? There is an infographic for that question. Another list? Please write down in comment box, thanks. Posted on October 19, 2017 Author askfmCategories ProgrammingLeave a comment on What are the top in-demand programming languages?